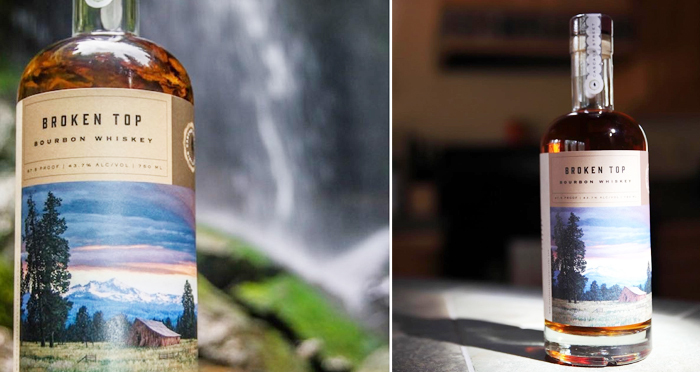 Cascade Street Distillery’s Broken Top Bourbon has been a favorite among spirits writers since its introduction and it continues to be gaining national attention. USA Today included Broken Top Bourbon and its home as one of 50 bourbon destinations in the US. With bourbon’s rapid rise as a top selling spirits segment, the category has reached new heights as an $ 8.5 billion dollar industry. The USA Today feature can be viewed HERE. Broken Top Bourbon is made at the Cascade Streets Distillery facility just outside of town near the Sisters airport. Broken Top is a bold sipping bourbon born of 100% American corn, rye and barley, and mixed with pristine mountain spring water. Distillers use a blend of American corn, rye and barley to make the smooth, approachable Broken Top Bourbon. Founded in 2015 by brother and sister team Nick and Katie Beasley, Cascade Street Distillery is based in the old west town of Sisters, Oregon. Surrounded by endless forests, hundreds of pristine lakes and back-dropped by 10,000-foot Cascade Mountain Peaks, Cascade Street Distillery produces its small-batch, handmade spirits with exceptional ingredients and care. At the core of its spirits is Central Oregon’s mountain spring water, which is considered some of the best in the world.